We are officially going into our 42nd Year in 2018! 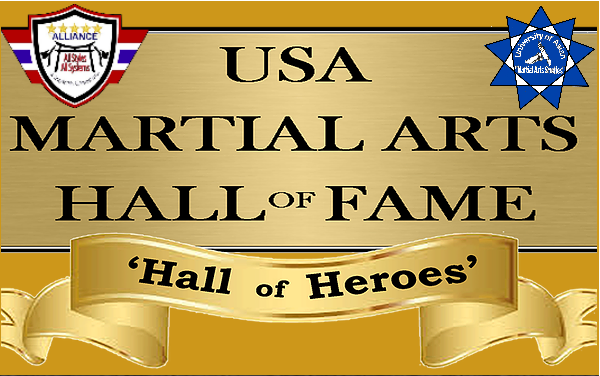 The USA Martial Arts Hall of Fame is a dynamic network of martial artists that have EARNED their place in Martial Arts History! The U.S.A. 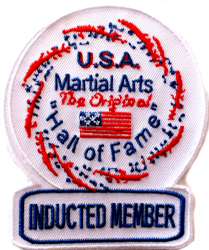 Martial Arts ‘Hall of Fame’ “Hall of Heroes” was originally created in ‘1976’. This was the creation then by Grand Master Robert Trias. The 1st man to open a school in the U.S.A. ‘1946’ Phoenix, Arizona. In its beginning it was very small in nature and was done spontaneously at various Martial Arts functions. A spontaneous type of its beginning. Jim Thomas and Mike Day were called upon to orchestrate this function into what it is today. 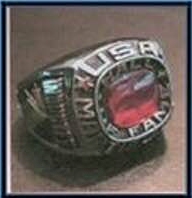 At our last meeting in early 80’s in Phoenix, Arizona these major plans were then planned and the change was made. Then Trias Sensei passed in late 80’s! For a couple years after Grand Master Trias’s passing the ‘Heart’ of this project seemed to not be there. However both Jim Thomas and Mike Day decided to go full speed with this project and soon after these new plans were launched, then Mike Day passed away. Today…and since the very early 90’s Jim Thomas has kept this event alive himself and includes new exciting things each and every year! In memory of Grand Master Trias, he would be proud today! Thank you for taking the time to look at our website. 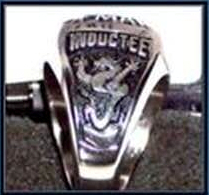 You will find that The USA Martial Arts Hall of Fame is a non-political group that prides ouselves on being open to all styles and ranks of martial arts.